From a popular editorial website and online store to thriving social media channels and a busy brick-and-mortar location, Glossier is changing the face of beauty marketing. As our recent Shopper Story report shows, “More than ¾ of shoppers globally engage in online to offline and offline to online shopping”. Beauty buyers in particular are used to the seamless flutter between online/offline purchasing — searching, browsing, and buying across their laptops and smartphones on a regular basis. 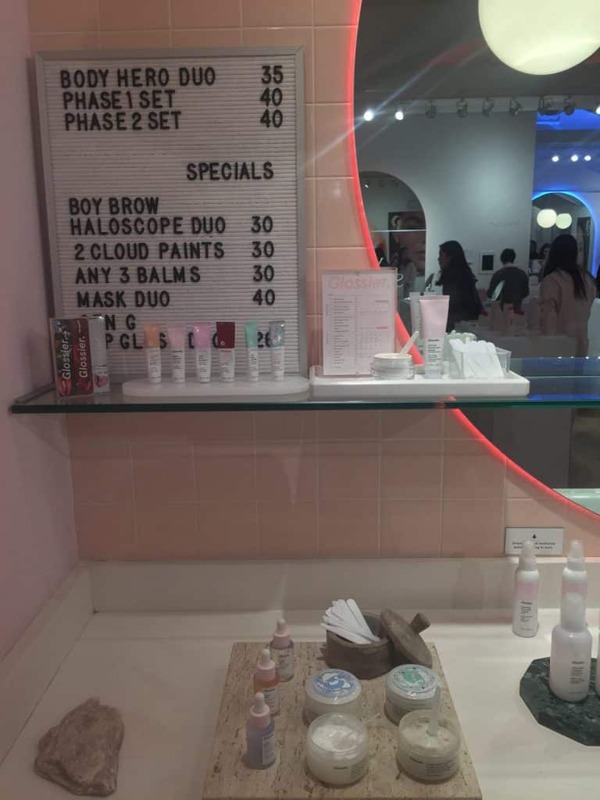 Glossier is masterfully connecting with these shoppers, everywhere they go. In the three short years since it launched in the fall of 2014, Glossier has grown into a multimillion dollar makeup empire with an army of enthusiastic devotees. The product line features about 20 items, including Haloscope and Boy Brow, signature products that regularly sell out, initiating waitlists that can include thousands of hopeful beauty buyers. Today, the cult-status beauty brand boasts more than 870,000 followers on Instagram, a bevy of famous fans, and branding so iconic that people use the hashtag #glossierpink when they see the unique shade in the real world. So how did the business grow so quickly, and why are shoppers so loyal? We look at what Glossier does differently, and what others can learn about the new world of beauty marketing. 1. Use social media to grow by word-of-mouth. Founder and figurehead, 32-year old Emily Weiss credits 90% of her company’s explosive revenue growth to word-of-mouth by brand advocates, most of whom are in the 18-35 age range. 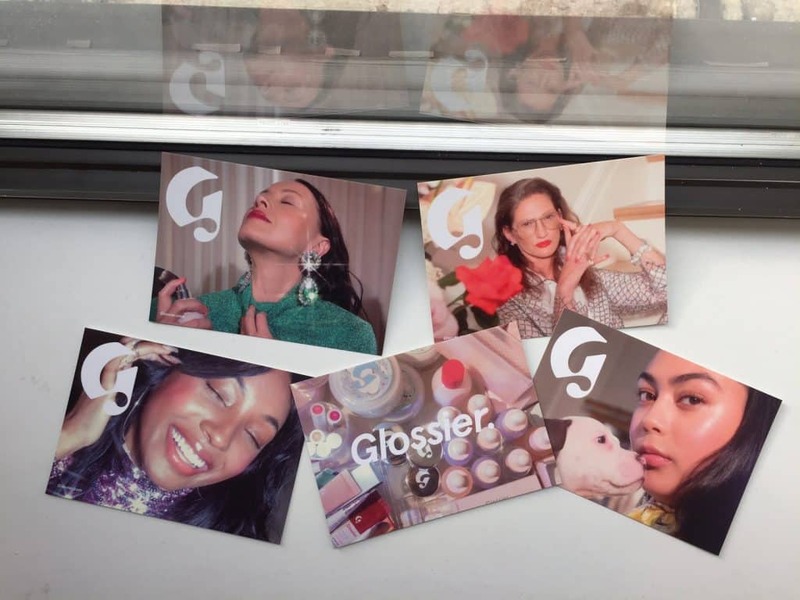 These super-engaged fangirls follow Glossier’s product announcements, social media posts, event invites, and Top Shelf interviews on its editorial website, Into the Gloss. From there, these brand advocates share all that content with their own followers and friends, both online and off. Glossier grew its loyal following by optimizing for the internet at every step: using social media to turn readers into followers, followers into brand evangelists, and brand evangelists into a community. 2. Rise above the fray with personalized content. 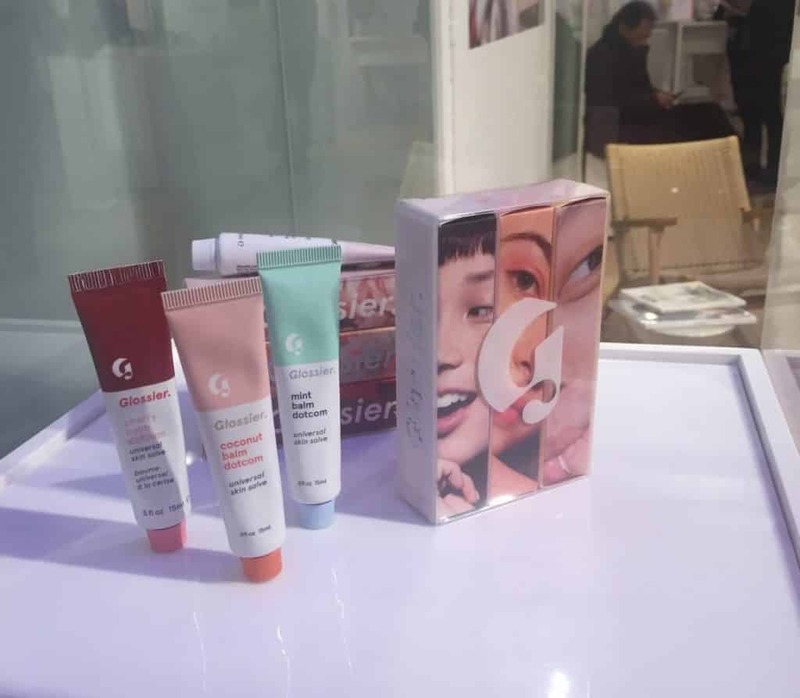 In an era when the paradox of choice threatens to desensitize consumers from most marketing tactics, Glossier is leading the way in how beauty brands can and should be building personal connections, across every channel and touchpoint. To produce helpful video content, Glossier shoots FaceTime tutorials and Facebook Live videos (often starring employees) right from the company’s office in NYC. On YouTube, Glossier hosts “Get Ready With Me,” where someone walks the viewer through their morning routine. Judging by the comments below each video, shoppers are loving it — asking questions and offering up feedback. “We really want to listen very closely to our audience across all our channels,” Weiss told BuzzFeed. To rise above the digital fray, brands need to form deeper long-term connections. That starts by making everything more personalized, from special offers to product videos to remembering the last thing a shopper bought. 3. Use a physical location to bring the online experience to life. 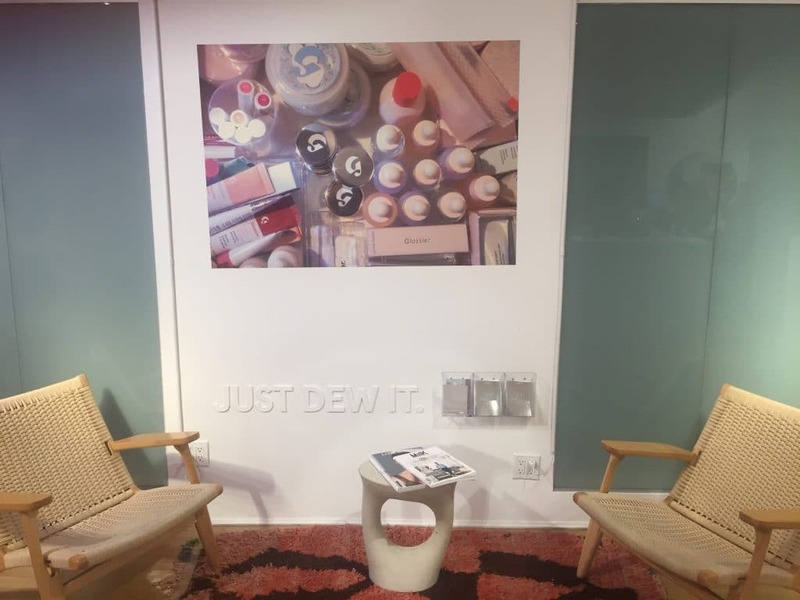 At the Glossier Showroom in New York’s Soho neighborhood, shoppers can sample products or ask questions of employees (aka “Showroom Editors”). 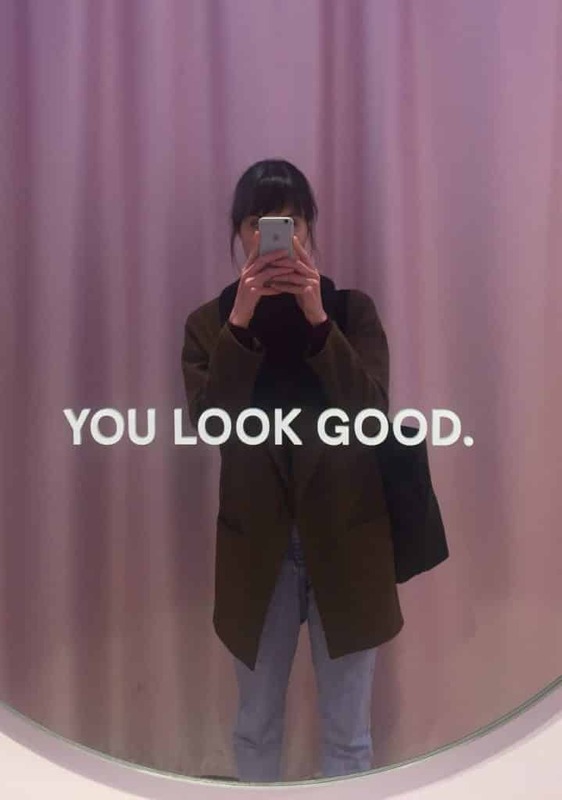 From pink tiles to comfy chairs to mirrors that compliment you, Glossier makes the in-real-life experience of the brand parallel the online one: It’s fun, it’s interesting, and you feel prettier after. Test out creams, lotions, and potions at the handy sink. Chill out with a magazine. And of course, leave with awesome products. Whether it’s pop-up shop or a fully realized brick-and-mortar store, a physical presence for brands is proving to be a powerful channel for increasing loyalty, advocacy, and engagement. Glossier leads the way when it comes to marketing beauty products in a modern world. The self-described “beauty brand inspired by real life” deploys a human touch with every interaction, for every individual, across every channel. It’s the Glossier way of connecting its products with the faces they’re being made for. Glossier isn’t alone in adapting to the omnishopping phenomenon by bridging the online/offline experience: Amazon’s physical bookstores, Warby Parker’s eyewear shops, Starbucks closing the online store, and Bonobos opening a Fifth Avenue location in NYC all point to the importance of the offline experience for every company. Look for other businesses to win in a digitally saturated universe by prioritizing strong, personalized connections between the digital and physical brand experiences.